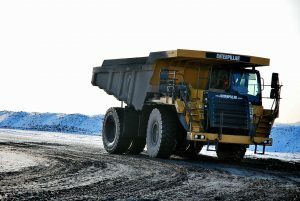 Fast Quotes and Coverage for New Orleans Dump Truck Insurance. If you’re seeking Dump Truck Insurance in New Orleans Louisiana or the nearby areas then you’ve come to the right place. 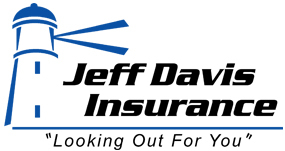 The agents at Jeff Davis Insurance are here to help you with your business insurance needs. Jeff Davis Insurance is a leading independent insurance agency in Louisiana, and because of this we have the tools and knowledge necessary to help you find the very best rates, options, and service for Louisiana Dump Truck Insurance. Call us today at 337-824-4455 to speak with one of our commercial auto specialists. Jeff Davis Insurance can provide excellent insurance programs for all forms of dumping operations, from sand and gravel hauling to debris removal and everything in-between. 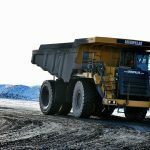 New Orleans Dump Truck Insurance – Understand Your Policy. Like nearly all insurance policies, commercial auto policies feature exclusions that limit their coverage. Sometimes these exclusions are fairly straightforward, i.e. your dump truck would not be covered for damage to it as a result of an act of war. This exclusion is fairly easy to understand; hopefully this never becomes an issue. There are other exclusions, however, that are both much trickier to wrap your head around and much more likely to occur in everyday business operations. Reading and understanding the exclusions present in your policy is important because it can help you to avoid situations in which your coverage would be nullified, thus shielding you from the dreaded claim denial that could end up costing you thousands, tens of thousands, or even more out of pocket. Dump Truck Insurance New Orleans – Claims Scenario. Chuck owns and operates a dump truck for his business, Lucky Chuck’s Haul and Dump. Lucky Chuck’s is an all-purpose dumping company; they haul dirt, sand, gravel, rubble, debris, and just about anything else one might need a dump truck for. One breezy Tuesday afternoon, after a long, hot day, Chuck is looking forward to a refreshing shower and a relaxing evening at home to forget about his bad day. He had driven his dump truck all over town today, lugging tons of white sand, chalky gravel, and thick mud for various projects. He is covered from head to toe in dried mud and fine white powder from all the sediments he’s hauled today. Chuck’s mood is less-than-cheery at the moment. Just then, a blazing red sports car moving way too fast cuts in front of Chuck on the highway, nearly causing him to lose control of the wheel. Chuck’s blood begins to boil as he decides to teach this hot-shot a lesson. Dump Truck Insurance New Orleans – Call Today! Give us a call today at 337-824-4455 or click on New Orleans Louisiana Dump Truck Insurance to use our convenient online rate quote submission system to get fast quotes and information 24 hours a day.